For sinusitis, plain pure neem oil can be used as nasal drops. Use tow drops twice daily, morning and evening. For athletes foot, soak feet in warm water with 15 ml of neem oil. Neem oil will quickly stop earaches, just warm some oil and apply a few drops into the ear. For hemorrhoids, apply some neem oil to a cotton ball and gently rub for about a week. If preferred a paste can be made by adding a small amount of olive oil or Aloe Vera oil until desired consistency is reached. To prevent hair loss and enhance growth, mix a few drops of neem oil with coconut or olive oil and massage into scalp. This will even prevent your hair from graying! Neem oil can be applied to cuts and abrasions to help them heal quickly. Neem increases blood flow which aids in creating the collagen fibers that helps the wounds to close. As a treatment for burns and even sunburn, neem oil can kill the bacteria, reduce the pain and stimulate the immune system. By stimulating the immune system it speeds up the healing process and there is less scarring. To kill head lice, neem oil should be massaged into the scalp and left on over night. Shampoo your hair as usual the next morning. Neem detoxifies the body and helps maintain healthy circulatory systems, digestive and respiratory systems and helps to keep the urinary tract free of infections. Scientific evidence has shown that neem is valuable in boosting the bodies immune system. A healthier immune system helps your body in fighting off many illness and diseases. Laboratory studies have proven neem to be effective in treating the symptoms of food poisoning associated with both salmonella and staphylococcus. Neem extracts kill the salmonella bacteria and flush it out of your system, reducing the severity and length of the ailment. A neem paste applied directly to the sores caused by chicken pox, will relieve the itching and reduce scarring. Neem tea drank once or twice weekly can even help prevent colds. If you already have the symptoms associated with a cold they can be lessened by drinking neem tea three times a day. It will help alleviate the fever, cough, aches and pains, sore throat, fatigue and nasal congestion. Neem also contains powerful anti-fungal properties that have been shown to aide in the treatment of athletes foot, yeast infections, thrush and even ringworm. In it’s use of treating hepatitis, 80% of test subjects showed a significant improvement. The neem extract can actually block the infection that causes this virus. Drinking neem tea during an outbreak of influenza will help alleviate some of the symptoms and speed up the recovery time. Neem has an amazing ability to literally surround viruses and prevent them from even infecting the cells. Use of a neem based powder for jock itch will reduce the itching, dry the area and kill the fungus. For severe cases a neem lotion may be more effective. The length and severity of an outbreak of mononucleosis can be decreased by drinking neem tea twice a day for two weeks. For shingles, neem cream should be applied to the affected area at least three times per day. Severe cases should also be treated with neem tea after each meal, but tea should not be consumed for more than two weeks at a time. 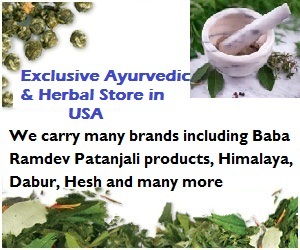 Thrush can be effectively treated with neem tea, it will reduce the inflammation, reduce the pain and speed healing. Children under the age of 12 should not drink neem tea, for children this young it should only be used to gargle. Secondary bacterial infections in the nasal passages and respiratory system can be decreased by inhaling steam from boiling the leaves. In a recent study neem was shown to lower cholesterol levels when taken for a month in either the capsule form or the extract. Scientific studies have proven that neem will reduce blood clots, heart irregularities and even reduce blood pressure. Results can be seen within one month on a regimen of extract or capsules. Neem will increase the bodies production of T-cells, which will attack infections. The use of neem oil on the skin is known to actually rejuvenate the skin, it also promotes collagen and will work in the treatment of many skin conditions including acne. Acne can be cleared up with a few day by taking two neem capsules twice daily.